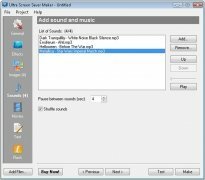 The Windows operating systems usually include a wide range of screensavers with which you can protect your computer's screen while you aren't working on it, but they are sometimes rather dull. 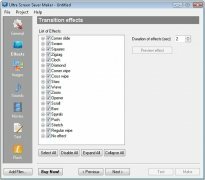 It is due to this that applications like Ultra Screen Saver Maker are developed. Choose the name of the screensaver and decide if you want to add information or not. 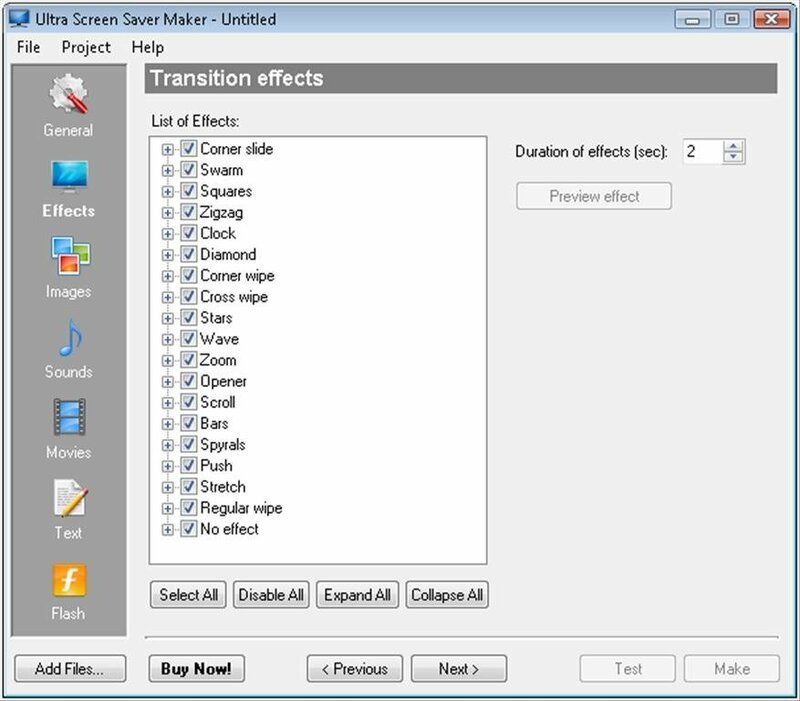 Choose which transition effects will be used. Add image files. 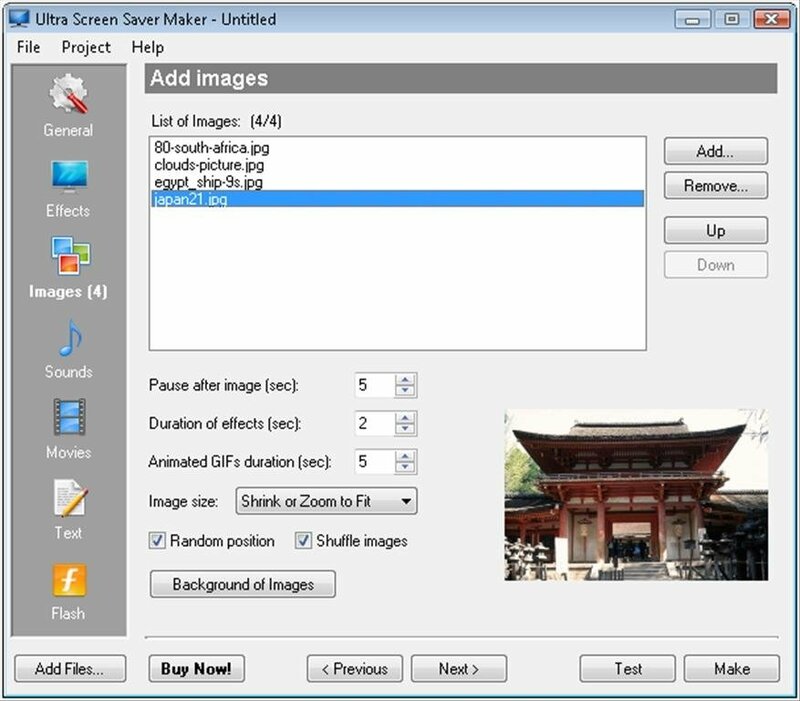 With the possibility to select how long each image will be on the screen. 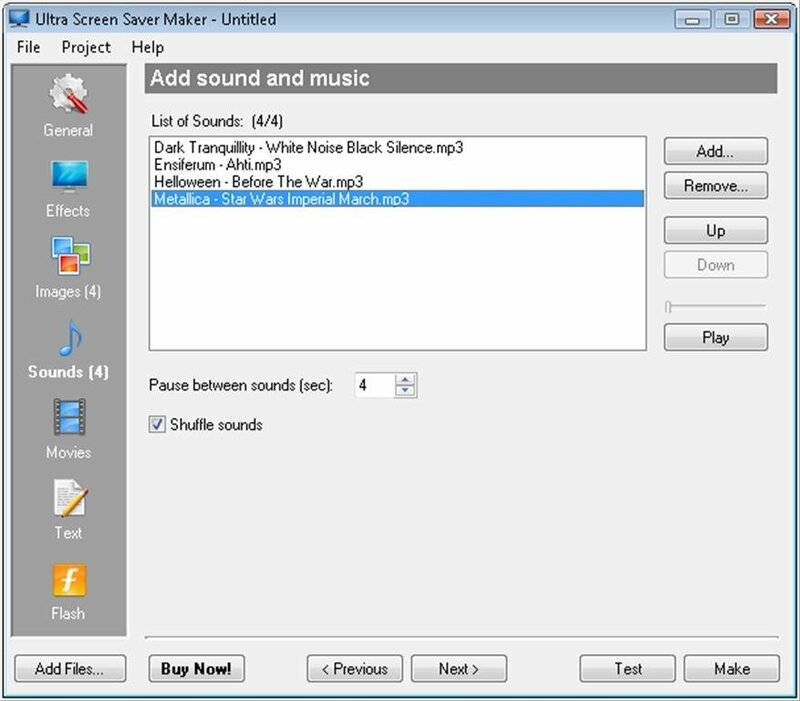 Select the music or sound that will play together with the images. Write texts that will appear on the screen while it plays. 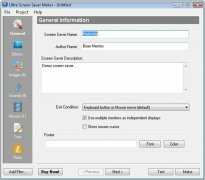 Last of all, Ultra Screen Saver Maker offers the possibility to add Flash animations to the screensavers. 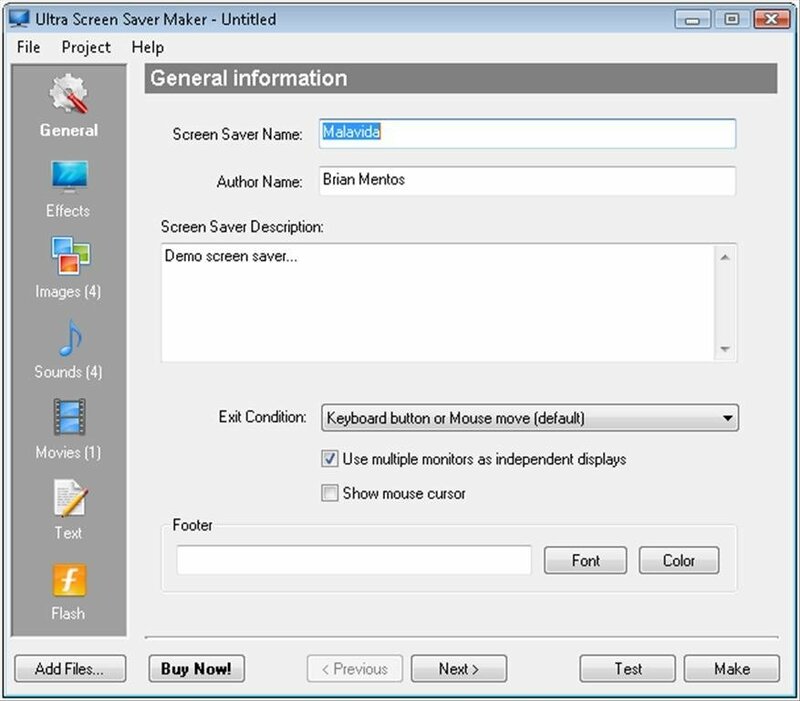 Once the whole selection process has finished, the user will only have to tell the program so as to create an executable file that will install the screensaver. 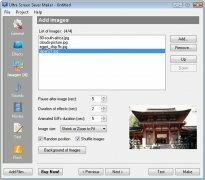 Download Ultra Screen Saver Maker to your computer to create your own screensavers. The trial period of this software lasts for 21 days. To be able to add Flash animations it is necessary to have Adobe Flash Player installed.